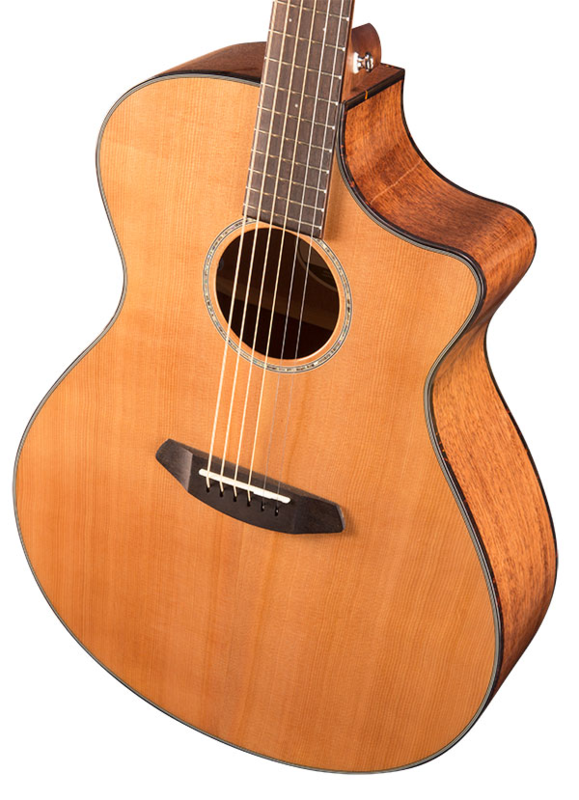 Offering Breedlove’s popular Concert body shape in six different exotic tonewoods. Every tree species has its own musical nuance. For example, koa is warm, ebony is bolder, ziricote exaggerates the bass tones, Australian blackwood has a rich sound, and myrtlewood is high energy with balance. The Breedlove Bridge Truss gives extra sustain for greater overtone enrichment and blossoming notes. Each of the six models has an African ebony fretboard and bridge. Factory equipped with LR Baggs EAS electronics and a Breedlove gigbag. You will sound better, play better and play more on a Breedlove. Crafted In Designed, engineered, and quality-controlled in Bend, Oregon, USA.